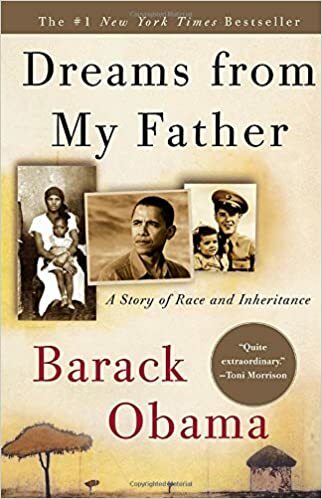 "Dreams from my Father : A Story of Race and Inheritance" was written by Barack Obama, the praised candidate for the Democratic nomination in the 2008 U.S. presidential election. This moving memoir is a picture of Obama as a young black American in search of his identity, a belonging, in a white American community. This journey is about himself as he painlessly takes the readers with him to find that identity. The recounting of this emotional yet unsentimental odyssey of Obama's search of identity begins in New York where Obama learns that his father, he never knew as a man but more of a myth, has been killed in a car accident in Kenya. This event motivated him to pursue an emotional journey - first to a small town in Kansas, from which he retraces the migration of his mother's family to Hawaii, then to his childhood home in Indonesia, and finally to Kenya, where he meets the side of his father's family. In Kenya he finds out the harsh realities of his father's life, and ultimately, reconciles himself to his divided loyalties, heritage and culture. This page was last modified on 18 January 2018, at 18:34.